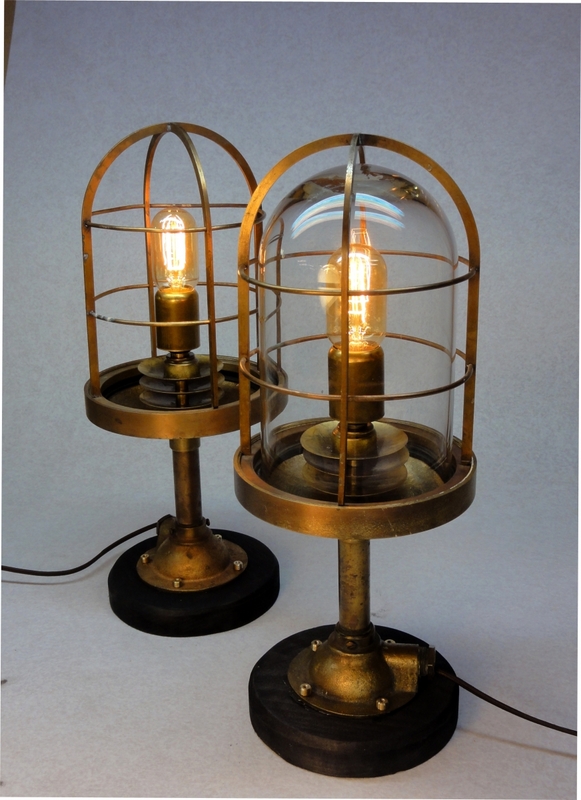 Solid brass with custom glass and interior details. By Art Donovan. Offered as a pair.